The “ Queen of fruits” since earlier times, No wonder why so many of us often include them in our diet; be it as a fresh table fruits, dry fruits (raisins), juice, or simply in salads! they can also used for making wine, jam, juice, jelly, grape seed extract, raisins, vinegar, and grape seed oil. Grapes are a non-climacteric type of fruit, generally occurring in clusters. In India place Nashik, called "grape capital of India", is the leading grape producer in the country, with about 1.75 lakh hectare of land under grape cultivation as of December 2015 to 2017. It produces an estimated 10 lakh metric tonne grape at about 20 metric tonne per hectare. It contributes to more than half of the total grape export from the country. About half of the export corresponds to the Netherlands; with Germany, United Kingdom and Belgium as the major destinations. 1. Grapes are a good source of fiber, potassium, and a range of vitamins and other minerals. 2. Grapes are suitable for people with diabetes, as long as they are accounted for in the diet plan. 3. Grapes contain low levels of chоlеstеrоl, sodium and fat and are rich in vitаmins K and C.
4. 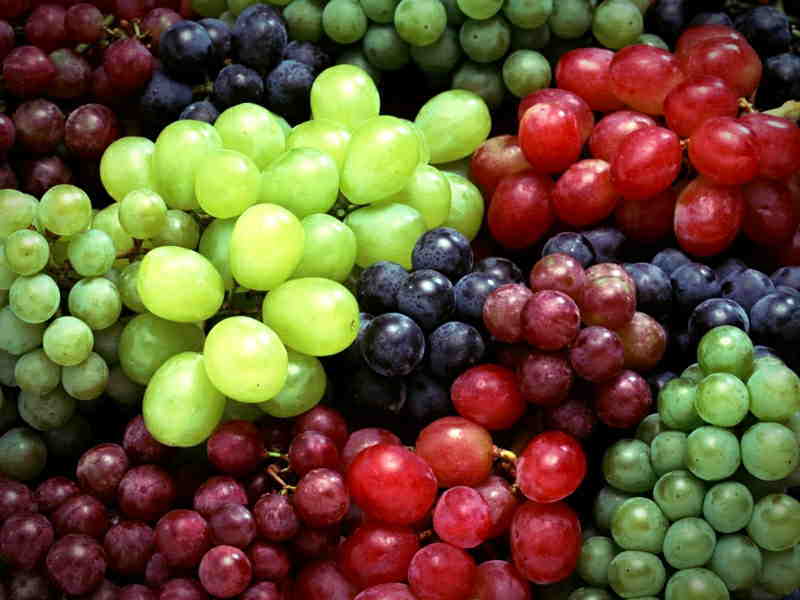 Grapes are used to help cure asthma indigestion, migraine, kidnеy disease and fatigue. 5. Grapes help minimize the risk of heart attacks because they increase the levels of nitric acid in the blood which prevents blood clots. 6. The nutrients in grapes may help protect against cancer, eye problems, cardiovascular disease, and other health conditions. Black Grapes: Sharad / Flame / Jambo. 2. We have Strong connections with farmer ,directly we buy it from farmland. 3. We are flexible to any kind of packaging as our buyer wants. 4. We can provide samples to any part of the world as per you want. 5. If our buyer personally wants to visit us. We can show them every market and their every other GRAPES quality personally.